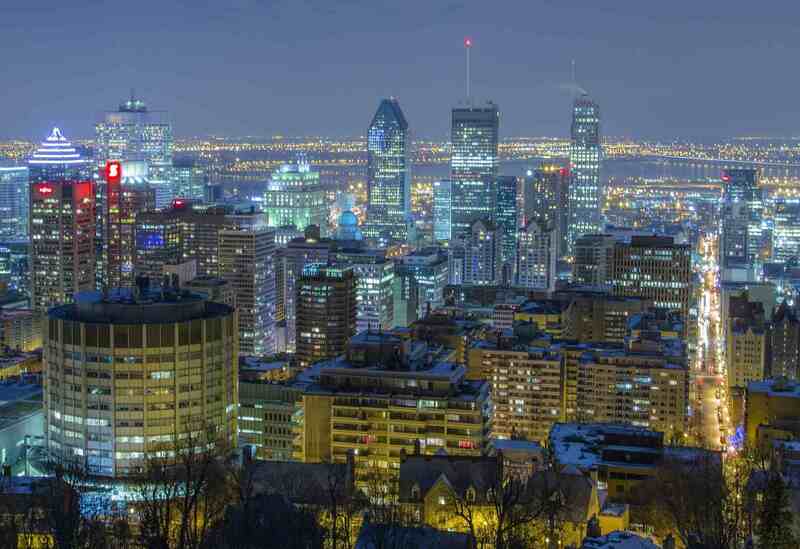 Are you thinking of visiting Montreal this winter? Here are some things to do in Montreal in winter. I have visited Montreal many times but always end up missing so many great attractions. 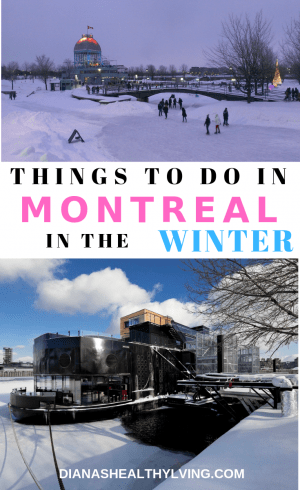 I collaborated with other travel writers for their top things to do in Montreal in winter. Montreal is a magical city in the snow. With skating, outdoor raves, light festivals and more, try any of these fun in Montreal in winter. The MONTRÉAL EN LUMIÈRE event has been giving Montrealers an excuse to embrace winter and get outside and enjoy this festival. This festival is supposed to bring a little warmth, light and some festive life to the dead of winter, MONTRÉAL EN LUMIÈRE has evolved to become one of the largest winter arts and culture festivals in the world. The MONTRÉAL EN LUMIÈRE usually runs end of February to early March and draws close to 1,3000,000 visitors. The festival features live music, theatre, dance, circus arts and more. The MONTRÉAL EN LUMIÈRE is a free outdoor festival located in the heart of the Quartier des spectacles. The festival offers the following free shows on the giant outdoor concert stage, a fully-tricked-out Ferris wheel, a 180-metre zip-line over the site, immersive and interactive installations, warming-up areas, gourmet pit stops, street performers, fireworks and the always ridiculously popular, 110-metre urban ice slide are all popular features of this colourful, dynamic and family-friendly winter village. Montreal underground city, also called Réso or Ville Souterraine in French, is the biggest underground city in the world. 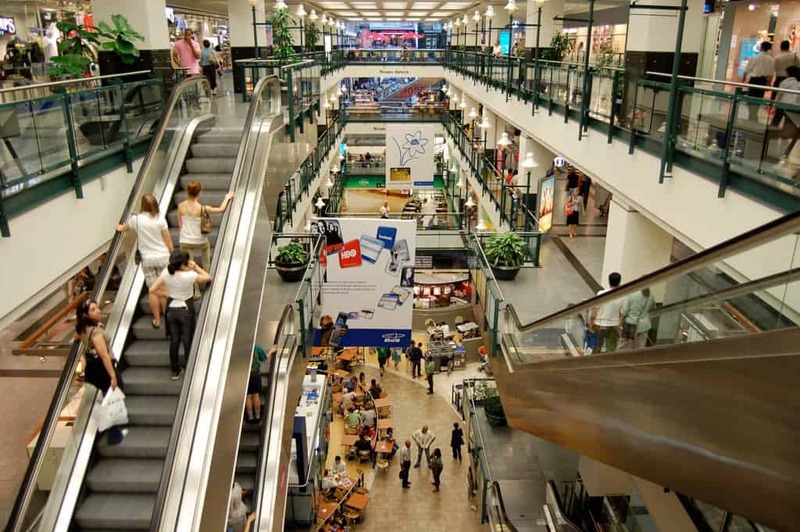 Réso constitutes a multi-level network of tunnels and stairways that connect various shopping malls, universities, restaurants, libraries, schools, and even art venues. This giant maze is a must-see in Montreal. Especially handy during the harsh winter season, the Underground City runs under Montreal streets around the downtown area and is used by half a million people every day. Even though it’s called the underground city, it is more of an indoor city. With more than 190 exterior access points, getting to Réso is quite easy. In fact, you will probably be in there before you even know it. You can even access the city through the Museum of Contemporary Art, which is really worth a visit. One of the most obvious activities to enjoy throughout the Ville Souterraine is shopping. In fact, the complex incorporates a total of six different shopping plazas. You can also go to the cinema or enjoy a nice meal at one of the many restaurants. Montreal’s underground city is unique, and you won’t find such an extensive network anywhere else in the world. In summer or in winter, visiting the underground city is always a good idea. If you are looking for the perfect luxury splurge weekend in Montreal, consider staying at the Montreal Ritz-Carlton. We were surprised to learn that this was the first hotel branded with Ritz-Carlton. The right to use the Ritz name from the famous Paris hotel brought with its very high standards. 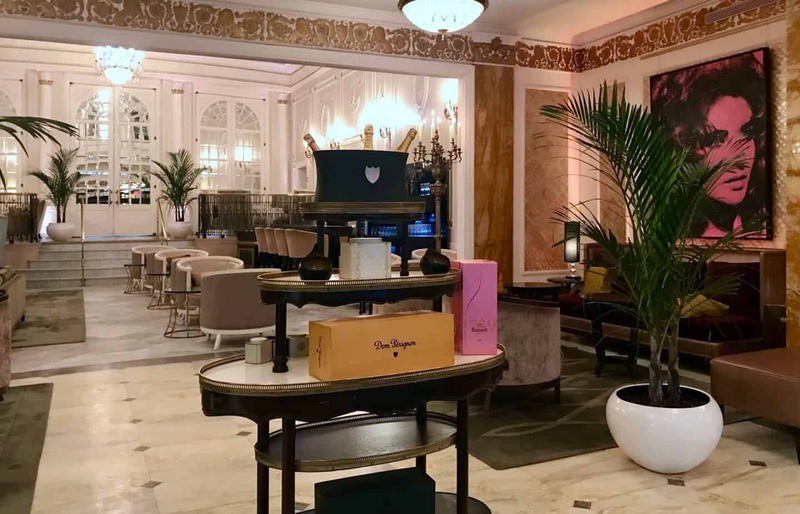 You can still see the architectural details, hotel design concepts and focus on customer service excellence in the Ritz-Carlton Montreal today. The hotel provides great amenities, a rooftop saltwater pool and a complete spa. Perfect if you visit Montreal in the winter and want to enjoy your stay inside. The Maison Boulud restaurant on-site was a foodie delight with a menu designed by Michelin star chef Daniel Boulud. Every meal we had there left us wanting more. 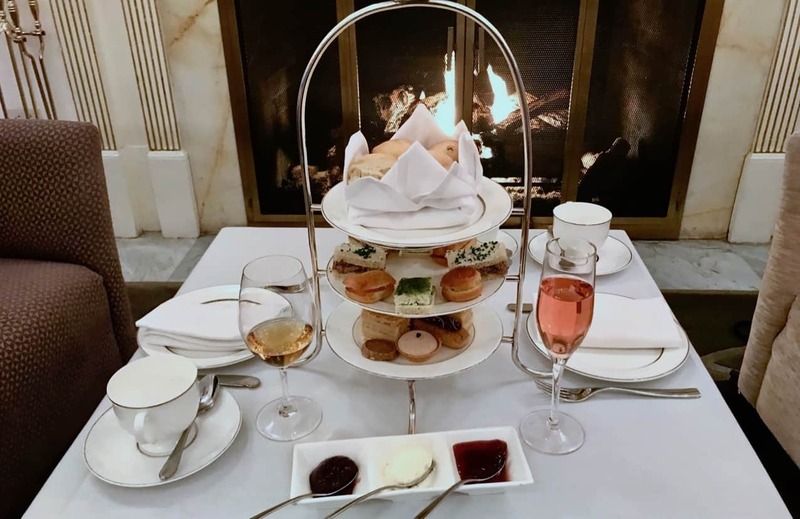 We could not resist having a traditional Afternoon Tea at the Ritz-Carlton Montreal. The Palm Room is a delightful venue and we got a reserved table in front of the fire. There was a large selection of teas complete with a tea timer to make sure the brew was perfect. A tray of savoury food and sweets were all delicious and varied. We ordered champagne and settled in to enjoy the fire and the food. This is definitely a great way to spend an afternoon in Montreal. 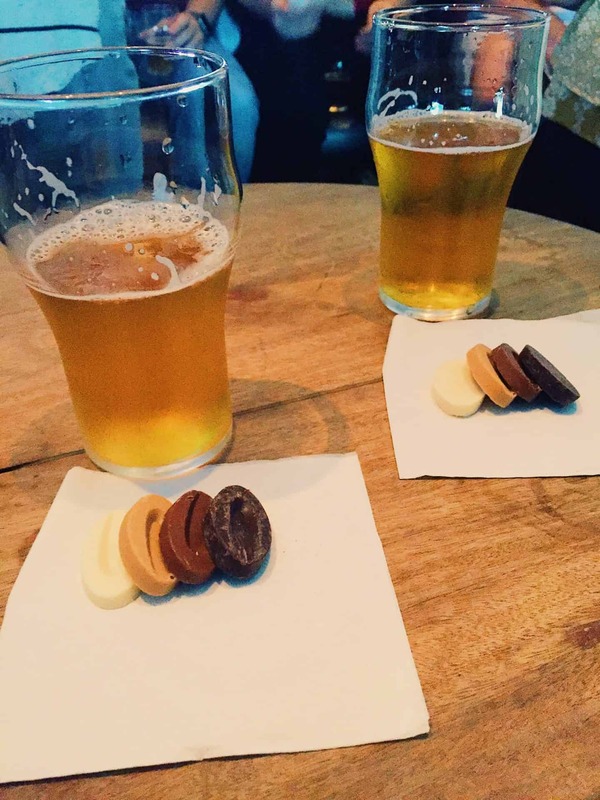 One of my boyfriend and I’s favourite parts about travelling is trying the local cuisine and especially beverages of the area. We are big craft beer connoisseurs, so wherever we go we try to find a local brewery to taste a few of their options. When we were in Montreal, we elected to try out a guided craft beer tour with Montreal Brewpub Tour instead of just finding a brewery while wandering the city. It ended up being a great option that allowed us to learn a lot more about the beers and the area than we would have on our own. Our guide was very knowledgeable and each of the three locations paired a few of their beers with food, including local favourite poutine. While we did have to do a bit of walking (around a mile) which could be quite chilly in the winter, hearing about the different stops along the way was worth the walk. The tour isn’t a loop, however, so you will end up a ways from the start of the tour without transportation back. It features everything from stouts to IPAs to wheat beers and fruitier options, meaning there is something for almost every taste. The tour takes a little over 3 hours to complete and you end up trying 6 different samples for around 2 pints worth of beer. If you enjoy trying new brews, the tour was a great option for a reasonable price. Everyone loves Montreal in the summer. There is so much to do in the city with tons of activities, concerts and festivals. But the winter can get cold and frigid. The only way to embrace it fully is to head out and enjoy the great outdoors. To do so, head to one of Montreal’s most iconic spots, the landmark that the city is named after, Mount Royal. Here, you can let loose and enjoy the most quintessential Canadian winter sport: ice skating. Best of all, it’s one of the few things you can do for free, any day of the week! Every winter, as soon as temperatures drop low enough, the famous Lac-aux-Castors (Beaver Lake) magically turns itself into one of Montreal’s premier refrigerated skating rinks. 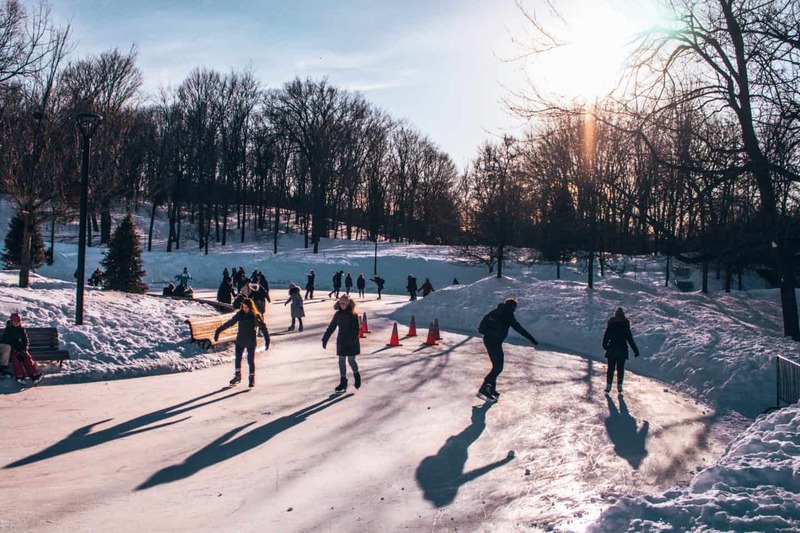 It is located on the hill, right next to the Beaver Lake Pavilion, which is the perfect spot to lace up or to heat up between laps on the rink. It’s also where you can rent some skates, if you don’t already own a pair, or warm up with a coffee or hot chocolate. Although the rink is open every single day, make sure you look out for the special musical and gourmet evenings sprinkled throughout the winter. This is the perfect activity for couples, families and groups of friends. Don’t worry if you’re not a great skater, there are ‘pushers’ that you can hold onto for balance… or make sure you bring a date who knows how to skate and hold onto them! One of my favourite things to do in Montreal in winter is to go the Musée des Beaux-Arts de Montréal, or the Montreal Museum of Fine Art. This world-class museum has a fantastic international art collection on permanent display, and they have seriously amazing special exhibits, for example, their special exhibits on Egyptian Mummies and Alexander Caulder. 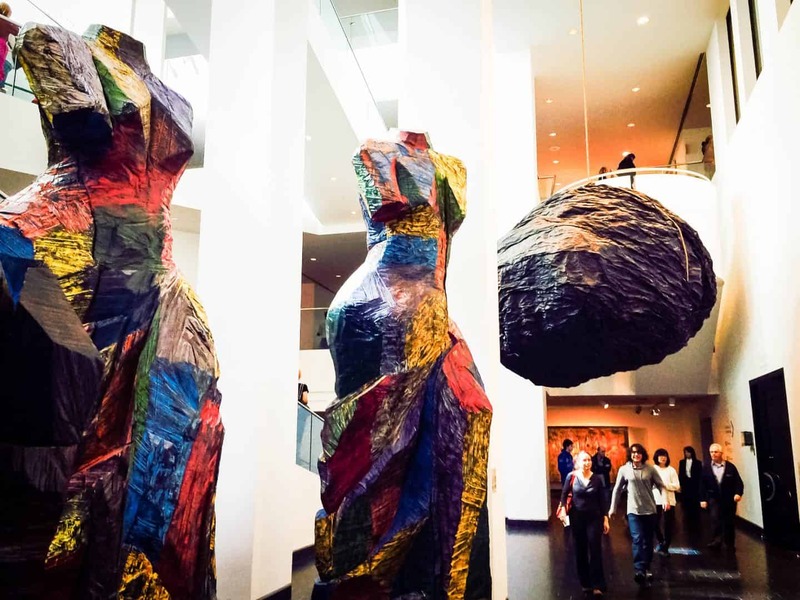 If this is one of your first times in Montreal or Quebec, take the opportunity to dig deeper into the local culture in the Quebec and Canadian art collection. Starting with Inuit art and moving forward through the entirety of the history of the city, you can see artwork that reflects what life was like in Montreal over the past five hundred years. There are enough wings of the museum to while away several hours here, making it the perfect place to escape the cold. Whether you choose to spend two or five hours wandering the halls, you’re sure to find something to pique your interest and inspire you. It’s also incredibly beautiful, with gorgeous architectural features on the outside and stunning galleries inside. That’s why it’s one of my favourite Instagrammable places in Montreal, so if photography is one of your passions then don’t forget to bring your camera with you. 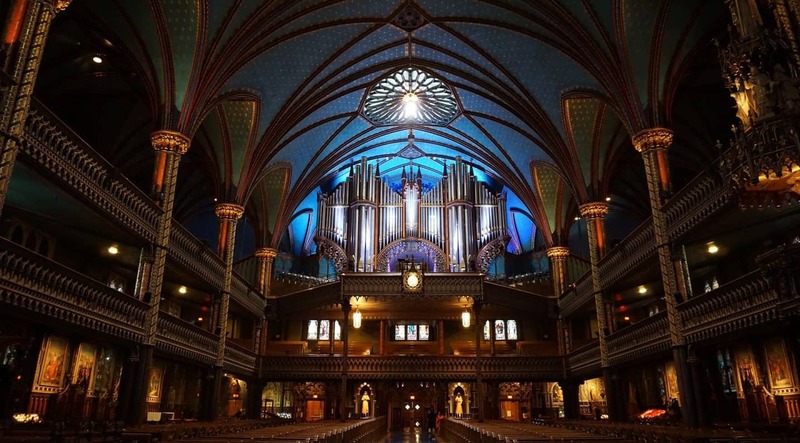 It doesn’t matter what your faith is, visiting the Notre-Dame Basilica is a must when in Montreal no matter what time of year. The Notre-Dame Basilica is a basilica in the historic district of Old Montreal, in Montreal, Quebec, Canada. The church is located at 110 Notre-Dame Street West, at the corner of Saint Sulpice Street. It is located next to the Saint-Sulpice Seminary and faces the Place d’Armes square. There is a fee of $8 for anyone over 18 years of age, $5 for ages 7 – 17 years of age and free under 7 years of age. Bota Bota was a ferry boat floating across the river. It has been docked since 2010 in the Old Port. 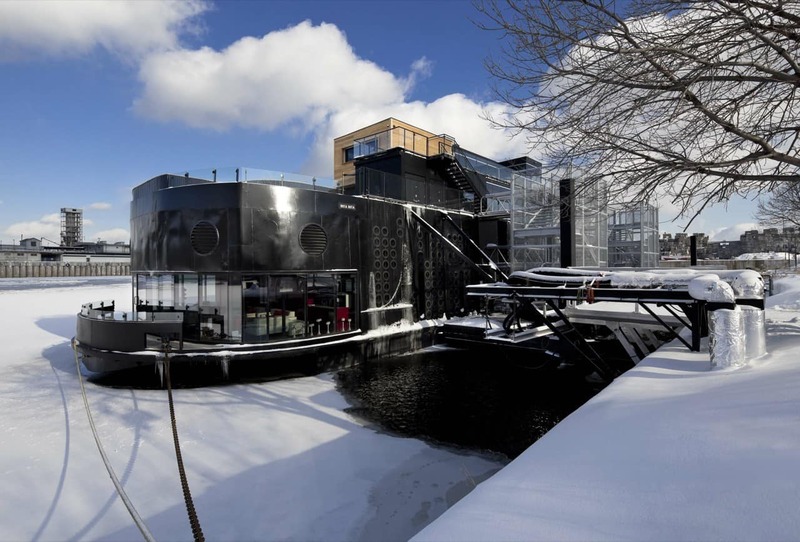 The Bota Bota experience is all about deep relaxation and breathtaking views of Montreal. You will enjoy a water circuit on the board and in the gardens. There three steps in thermotherapy. The first experience is heat where you will experience the dry sauna or steam bath. The second stage of the thermal experience consists of a short dip in the cold bath. The third stage of the water circuit takes place in the relaxation areas. Strolling the streets of Old Montréal is a must. Old Montreal is home to the city’s most historic and newest attractions and provides a glimpse into the city’s many lives throughout its extensive history. While the memory of Jeanne Mance, Jacques Cartier and de Maisonneuve can still be felt on the cobblestone streets, Old Montréal and the Old Port make up one of the city’s most constantly evolving and dynamic quarters, with attractions ranging from cathedrals and museums to an observation wheel and river cruises. Have you visited Montreal? I would love to hear some of your recommendations.